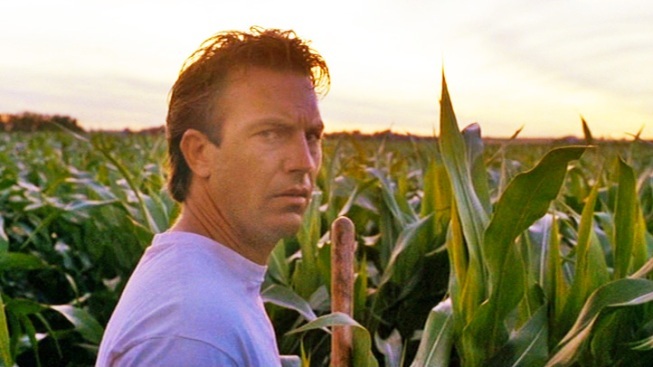 In the classic "Field of Dreams," Kevin Costner creates a baseball diamond for the ghosts of legends to play. If you list it, they will buy. The 200-acre Iowa farm featured in the classic movie "Field of Dreams" has been sold to a company that will preserve the site's baseball legacy. Don and Becky Lansing, whose family has owned the sprawling cornfields for more than a century, announced they accepted an offer from Go the Distance Baseball, which will develop the site near Dyersville as a baseball and softball complex. The sale price was not disclosed, although the Lansings put the property up for sale at $5.4 million last year. The property includes a two-bedroom house, the baseball diamond carved out for the 1989 film and six other buildings. The site has long been a popular tourist attraction run by Universal Studios where fans can go play on the diamond, run the bases and sit in the bleachers. Go the Distance, a Chicago-based investment group, plans to continue to operate the site, but add a dozen more fields for youth and softball tournaments. The film starred Kevin Costner as Ray Kinsella, who was moved by a whispered voice saying "If you build it, they will come," to create a baseball diamond on his farm for Shoeless Joe Jackson and other players from the 1919 "Black Sox" scandal, in which several players were banned for life for throwing the World Series. Everyone thinks Kinsella is crazy, but he follows through and ends up bringing back the ghost of his dad, along with the baseball legends. The Lansings told The Associated Press they plan to live nearby and visit the site, "especially in summer when the corn is high. That's when the field is most magical," Don Lansing said.